A British man has died after needing medical attention on a flight to Spain. 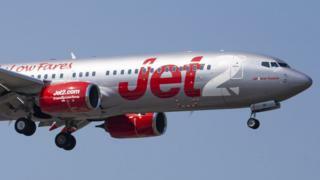 The Ibiza-bound Jet2 flight from Manchester diverted to Toulouse in France on Saturday evening due to the emergency. A spokesperson for the airline said the man, who has not been named, was taken to hospital where he later died. A Foreign Office spokeswoman said: "We are in contact with the French authorities following the death of a British man in Toulouse. "We are supporting his family at this difficult time."